Upgrading from the Lightroom 4 book? So you can easily see what’s new, I’ve noted the changes in the second column, and added a clickable index in the back of the PDF version. New Questions weren’t in the Lightroom 4 version of the book, and may be new Lightroom 5 features or additional questions on existing features. Change of Behavior means existing questions have been edited because the behavior has changed in Lightroom 5. Updated means that I’ve added additional information for features that were already in earlier Lightroom versions, including some questions that have been completely rewritten. Small Changes are minor changes, for example, an odd line of extra information about existing features. Questions that don’t have changes marked in the last column may be identical to the Lightroom 4 book, or may have minor changes, such as updated version numbers. If I can use all of Lightroom’s controls on JPEG files, why would I want to shoot in my camera’s raw file format? If I shoot raw, can Lightroom understand the camera settings? If I shoot sRAW format, can Lightroom apply all the usual adjustments? What’s the difference between the compact Import dialog and the expanded Import dialog and how do I switch? How do I import multiple folders in one go? Is it possible to import from multiple card readers at the same time? Why do the folders keep jumping around and what is Docking? Can I use the operating system dialog to navigate to a folder instead of using Lightroom’s Source panel? Can I save favorite import folders? How do I select only certain photos to import? How do I select photos from a specific date? How do I select specific file types to import? Why are some photos unavailable or dimmed in the Import dialog? How do I apply different settings to different photos while importing? How do I rename the files while importing? Why is there no File Renaming section in my Import dialog? What’s the difference between Import#, Image#, Sequence# and Total#? Can Lightroom continue my number sequence from my previous import? How do I pad the numbers to get Img001.jpg instead of Img1.jpg? Can I have more than 5 digit numbers? I’ve chosen Copy or Move—how do I organize the photos into a folder structure that will suit me? Why are some of the Destination folders in italics? How should I organize my photos on my hard drive? Can I create a different dated folder structure automatically? Can I leave Lightroom to manage my photos like iTunes moves my music files? How do I create Import presets, and what do they include? Do I lose quality when converting to DNG? Why do some files get bigger when converting to DNG? Should I use Lossy DNG instead of sRAW? If I convert to DNG, can I convert back to the proprietary raw file format again? Which preferences should I choose when converting to DNG? How do I convert to DNG? Can I replace my full size proprietary raw or DNG files with smaller ones? Should I convert other formats like JPEG or TIFF to DNG? How do I update my embedded preview? How do I change my embedded preview size? How do I find more information about the type of DNG file? I embedded the proprietary raw file—how do I extract it to use it? I embedded the proprietary raw file—is there any way to remove it? Why does Lightroom load or open the Import dialog every time I insert a memory card or device? I can’t see thumbnails in the Import dialog, I just see grey squares. How do I fix it? Can I set Lightroom to delete the photos from the memory card once they’ve uploaded? Lightroom appears to be corrupting my photos—how do I stop it? Why is Lightroom changing the colors of my photos? I shot Raw+JPEG in camera—why have the JPEGs not imported? Which cameras are supported by the built-in Tethered Capture? Crops can’t be saved in presets, so how do I get it to apply a crop to my Tethered photos? Can I convert to DNG while tethering? Is there a way to have Apple’s Photo Stream automatically import into Lightroom? What’s the difference between the selection shades of grey? Why don’t the rest of my photos deselect when I click on a single photo? How do I select multiple photos? I have multiple photos selected—why is my action only applying to a single photo? What’s the difference between Minimal, Embedded & Sidecar, Standard and 1:1 previews? How do I build previews after importing the photos? When I choose Build 1:1 Previews from the Library menu, does it apply to the entire catalog or just the selected photos? The previews are slightly different between Library and Develop and Fit and 1:1 views—why is that? If I delete a photo, is the preview deleted too? The previews folder is huge—can I delete it? I’ve discarded 1:1 previews—why hasn’t the file/folder size shrunk? Can I move the previews onto another drive? Which views are available on the Secondary Display? How are they useful? Why do shortcuts and menu commands only apply to a single photo even though I have multiple photos selected on the Secondary Display Grid? Why does the Secondary Display switch from Grid to Loupe when I change the Main Screen to Grid? What does ‘Show Second Monitor Preview’ do? How do I move the Library Filter bar to the Secondary Display? My Toolbar’s disappeared—where’s it gone? How do I stop the panels opening every time I float near the edge of the screen? Where have my panels gone? Can I detach the panels and rearrange them? My eyesight isn’t very good—can I change Lightroom’s UI? I can see Badges in Grid view, but not in my Filmstrip. Where have they gone? How do I turn off the overlay which says Loading? Is it possible to see camera setting information while in Develop module, rather than constantly switching back to the Metadata panel? How do I bring back the warning dialogs I’ve hidden? Why won’t Lightroom show a dialog, such as the Export dialog? Why does my folder say it contains 0 photos? Or, can I view the photos directly in the folder, instead of a composite view of its subfolders? I have a long list of folders—can I change it to show the folder hierarchy? Why aren’t ‘Show Parent Folder’ and ‘Hide This Parent’ showing in my context-sensitive menu? Why are some folders not slotting into their correct place in the hierarchy? How do I expand or collapse all of a folder’s subfolders in one go? How do I find out where a photo is stored on my hard drive? How do I move folders into other folders or drives? I’ve added new photos to one of Lightroom’s folders—why don’t they show in my catalog? How does the Synchronize Folder command work? How are Collections different from Folders? How are Books, Slideshows, Prints and Web Galleries different to standard collections? How do I create a collection and add photos to it? How do I organize my collections into collection sets? What are the Quick Collection and Target Collection? How do I see which collections a photo belongs to? How do I stack photos? Why are the stacking menu options disabled? How do I move a photo to the top of the stack? How do I apply metadata to multiple photos in a stack? I’ve placed retouched derivatives into the same folder as the originals and I’d like them stacked in pairs. Can I do it automatically? When I create a virtual copy, it should automatically stack them, but it hasn’t—why not? Which rating or labeling system should I use? How do I apply ratings and labels quickly? How do I use the Painter tool to quickly add metadata? Is it possible to view flag/rating/color labels status when in other modules? Since flags are no longer local, how do I access my old local flags? I gave my photos stars or color labels in Lightroom—why can’t I see them in Bridge? I gave my photos different color labels in Lightroom—why are they all white in Bridge? Or I labeled my photos in Bridge—why isn’t Lightroom showing my color labels? Lightroom’s not quick enough to sort through a large shoot—is there anything I can do to speed it up? How do I rename one or more photos? How do I rename photos back to their original filename? Can I do more complex batch renaming, perhaps replacing part of a filename? How do I move or copy photos between folders? When I delete photos, am I deleting them only from Lightroom, or from the hard drive too? Why can’t I delete photos from the hard drive when I’m viewing a collection? I’m deleting photos in Lightroom, set to send to Recycle Bin/Trash, so why isn’t it deleting them? Why did Lightroom delete all of my photos? How do I create a Metadata preset? How do I select which metadata to view in the Metadata panel? Why are the Location fields dimmed or italic? Can I import and listen to my camera’s audio annotations? Why do some files say CR2+JPEG and some just say CR2? How do I change my long list of keywords into a hierarchy? Or change the existing hierarchy? How many keywords can I have? How can I keep certain keywords at the top of the list? Is there a quick way of finding a particular keyword in my long list? What do the symbols in the Keyword panels mean? Is there an easier way to apply lots of keywords in one go, other than typing or dragging them all? Why are there only 9 keywords in the Keywords panel? I mistyped a keyword and now Lightroom keeps suggesting it—how do I clear the autofill? How do I remove a keyword from a photo without deleting it everywhere? Is it possible to display all of the photos in a catalog that aren’t already keyworded? I use multiple catalogs, but I’d like to keep my keyword list identical and current across all of the catalogs—is there an easy way? How do I import my keywords from Bridge? What do the different options in the Edit Capture Time dialog do? The time on my camera was incorrect—how do I change it? How do I sync the times on two or more cameras? How do I change the date and time for scans? How do I play videos in Lightroom? How do I trim videos? What do Capture Frame and Set Poster Frame do? How do I select a specific frame without constantly sliding the position marker back and forth? I’m selecting Capture Frame—why isn’t it working? Can I view video metadata such as Frame Rate? Can I edit my videos in the Develop module? How do I open my video in an External Editor? Why does Lightroom keep asking me to install QuickTime? How do I change my sort order? Can I set a default sort order regardless of folder? How do I sort my entire catalog from earliest to latest, regardless of their folders? Why can’t I drag and drop into a custom sort order or User Order? Why does Lightroom add new photos to the end of the sort order when editing in Photoshop? Why does my filter disappear when I switch folders? What does the Filter Lock icon in the Filter bar do? How do I filter my photos to show photos fitting certain criteria? Can I save the filters I use regularly as presets? How can I view all of the photos tagged with a specific keyword or keyword combination? How do I view only the photos with the parent keyword directly applied, without seeing the child keywords? How do I filter my photos to show… just one flag/color label/rating? Can I select all photos with a specific flag, color label or rating without changing the filtering? How can I use the Text filters to do AND or OR filters? How do I change the Metadata filter columns? How do I select multiple options within the Metadata filter columns? Can I combine Text filters, Attribute filters, and Metadata filters? How do I search for a specific filename? How do I find empty metadata fields which don’t have an “is empty” option? How do I transfer smart collection criteria between catalogs? How do I automatically add my smart collections to new catalogs? Why is the Quick Develop panel so useful? Why am I missing some Quick Develop buttons? Why doesn’t my Quick Develop panel match the screenshots? Why are some of the Quick Develop buttons unavailable? Can I adjust any other sliders using Quick Develop? Why does Lightroom keep changing my drive letters and losing my files? How do I reassign a drive letter on Windows? How do I prevent missing files? How do I filter for all of the missing files in my catalog? I’ve renamed the files outside of Lightroom and now Lightroom thinks the photos are missing. Is it possible to recover them? I’ve deleted some renamed photos. I do have backups but they have the original filenames, so Lightroom won’t recognize them. Is it possible to relink them? How do I zoom in or out? How do I switch between different map styles? I closed the marker key—how do I bring it back? What’s the difference between a group and a cluster of photos? Why are the map markers bouncing? How do I avoid accidentally moving a marker? Why would I want to turn the marker lock on? Why are there circles on my map? How do I show or hide the Location Name overlay? How do I view the photos attached to each location marker? How do I find a location on the map? Why isn’t my location search finding the correct location when I search by name? How do I mark photos on the map? How do I use the Map Filter bar? How do I find photos that have no location metadata? Where do I get a tracklog from? Which tracklog formats can Lightroom understand? How do I import my tracklog? How do I match the tracklog with my photos? How do I apply a timezone offset? My camera time doesn’t quite match the tracklog—how do I fix it? How do I move a photo or group of photos to a different location? Why can’t I move a group marker? How do I change the location for a single photo which is currently grouped with other photos? How do I delete location information? How do I create a saved location? How do I change a saved location? What does the lock icon on the central spot mean? Can I have saved locations within other saved locations? How do I return to a saved location? How do I find a photo on the map? Is a Google Map link available for a GPS location of a photo? How do I filter for all of the photos at a specific location? Should I turn on reverse geocoding in Catalog Settings? Will reverse geocoding overwrite my existing location data? I’ve just turned on reverse geocoding—how do I trigger the reverse geocoding for existing photos? What happens if I turn off reverse geocoding and then turn it on later? Why is reverse geocoding not working? How do I wipe existing location metadata as a batch to replace it with reverse geocoded data? Is it possible to connect certain IPTC fields or keywords with each GPS location, so adding images would automatically populate that data? How do I make the reverse geocoded data permanent? Can I save my location metadata in the files? Can I prevent location metadata being included in exported files? What limitations does the Map module have? Why can’t I import my tracklog? Why does it say “We have no imagery here” or “Map is Offline”? How do I create a new catalog and switch between catalogs? How do I find my catalog on the hard drive? Is there a maximum image size that Lightroom can catalog? How do I set or change my default catalog? How can I remove everything I’ve done and start again? What general maintenance will keep my catalogs in good shape? Can I search across multiple catalogs? How do I set default Catalog Settings to use for all new catalogs? I seem to have 2 catalogs. I only use 1, so can I delete the other? How do I merge multiple catalogs into one larger catalog? How do I split my catalog into multiple smaller catalogs? How do I transfer photos between catalogs? I run my own backup system—do I have to let Lightroom run backups too? How do I back up Lightroom? I back up photos using the Import dialog—isn’t that enough? How often should I back up my catalog? How do I run a catalog backup on demand? Where does Lightroom save the backups? How do I change the backup location? Should I turn on ‘Test integrity’ and ‘Optimize catalog’ each time I back up? Can I delete the oldest backups? Is it safe to have Time Machine back up the catalog? I’m worried about keeping all changes in one catalog—are there any other options? I haven’t got time to back up now—can I postpone the backup? How can I quickly back up recent changes without waiting for my huge catalog to back up? Why does Lightroom say it’s unable to backup? How do I restore a catalog backup? How do I restore everything from backups? If I’m restoring from backups, does the catalog or the XMP data take priority? How does Import from Catalog work? Are there any limitations when importing and exporting catalogs? How can I use my presets on both computers? How do I use a portable catalog with originals, for example, the whole catalog on an external drive with the photos? How do I use a portable catalog without originals, for example, the whole catalog copied without the photos? Can I share my catalog between 2 computers using Dropbox? How do I upload and start editing on my laptop, and then transfer that back to the main catalog? How do I export part of my catalog to another computer and then merge the changes back later? Can I synchronize two computers? Can I share my catalog with multiple users on the same machine? Can one catalog be opened simultaneously by several workstations across a network? Why would I want settings written to XMP? Which of Lightroom’s data isn’t stored in XMP? Where are the XMP files for my JPEG/TIFF/PSD/DNG files? How do I write settings to XMP? What’s the difference between ‘Save Metadata to Files’ and ‘Update DNG Preview & Metadata’? Should I check or uncheck ‘Include Develop settings in metadata inside JPEG, TIFF, and PSD files’? How do XMP files relate to the catalog? Can I view the content of my XMP sidecar files? XMP has been updated on another program or computer. Why don’t the changes show in Lightroom? Lightroom says it can’t write to XMP—how do I fix it? Is it possible to use XMP files to allow some degree of sharing across the network? When I used ACR I only kept the XMP files archived—can’t I just do that? How do I move only my catalog to another hard drive, leaving the photos where they are? How do I archive photos to CD/DVD/Blu-Ray? Why do my raw photos change color? When the first preview appears, it looks just like it did on the camera—how do I stop it changing? I set my camera to black & white. Why is Lightroom changing them back to color? How do other programs like iView, PhotoMechanic, Apple’s Preview, Windows Explorer, Breezebrowser, etc., get it right? There are some hot pixels on my sensor in other programs, but I can’t see them in Lightroom. Where have they gone? Which settings are affected by the process version? Which process version should I use? Why are my new imports set to PV2003 or PV2010 instead of the most recent process version? Where should I be clicking with the White Balance Eyedropper? The White Balance Eyedropper disappears every time I click anything—how do I keep it turned on? Why don’t the Temp and Tint sliders have the proper white balance scale when I’m working on JPEGs? Where have the other White Balance presets gone, such as Cloudy and Flash? Why is Lightroom showing different Kelvin values than I set in my camera custom white balance? Can I change the eyedropper averaging? How do I adjust for an extreme white balance, under 2000k or over 50000k? I’m upgrading from a previous Lightroom version and I’m in a hurry—can you summarize the changes to the Basic panel? What does the Exposure slider do? How do I decide where to set the Exposure slider? What does the Contrast slider do? What does the Highlights slider do? What does the Shadows slider do? Why doesn’t the Highlights or Shadows slider seem to do much? What do the Whites and Blacks sliders do? I’ve heard that the new sliders are ‘adaptive’—what does that mean? Why are the sliders in the wrong order? Why is Lightroom showing me the old Develop sliders instead of the new ones? How do the new sliders behave with raw vs. rendered photos? How do I turn off the auto highlight recovery to blow a white background? What does the Clarity slider do? How do I apply Auto settings to individual sliders? How do I use the TAT, or Targeted Adjustment tool? Why are some slider values dimmed? How do I use the standard Parametric Tone Curve? What do the three triangular sliders docked at the base of the Tone Curve do? Where have the Tone Curve sliders gone? Which PV2012 Point Curve is the equivalent of Strong Contrast in PV2010 for raw photos? What is the HSL panel used for? What’s the difference between the HSL and Color panels? How do I create a Black & White photo? How do I use the Split Tone panel? How do I create a Sepia photo? Why is Lightroom adding a colored tint to my Black & White photo? How do I copy or synchronize my settings with other photos? Why won’t my white balance sync? What does ‘Match Total Exposures’ in the Settings menu do? Can I make relative adjustments, for example, brighten all selected photos by 1 stop? Can I see a Before / After preview? How do I select a different history state for the Before view? Can I turn off the effect of a whole panel’s settings, to see the preview with and without those settings? Is it possible to see clipping warnings? Or, why are there red and blue areas on my photos? Why does the Histogram look different when I open the exported sRGB photo in Photoshop? Why are my highlights clipping in Photoshop but not in Lightroom? Can I view RGB values using a normal 0-255 scale? I don’t have a printer—is soft proofing useful to me? How do I turn on soft proofing? How do I select the profile for soft proofing? How do I add additional profiles for soft proofing? Why can’t Lightroom find my profile? Should I select Perceptual or Relative Colorimetric? Should I check ‘Simulate Paper & Ink’ when viewing my soft proof? Can I change the background color surrounding the photo while soft proofing? What’s the difference between Destination Gamut and Monitor Gamut warnings? What should I do if some colors are out of gamut? How should I adjust the photo while viewing the soft proof? What is ‘Saved State’ when using Before/After preview with soft proofing? How do I save my photo after adjusting it for a specific profile? Can I export a soft proof adjusted version with a note to say which profile I was using? How do I find all my soft proof copies? Where can I download Develop presets? How do I install Develop presets? How do I preview and apply presets to my photos? How do I create my own Develop Presets? How can I organize my presets into folders or groups? How do I rename Develop presets? How do I remove the default Develop presets? How do I uninstall Develop presets? Where have my presets gone? Can I apply multiple presets to the same photo, layering the effects? I have some Develop presets that I use in ACR in CS5—can I use them in Lightroom? Why do my presets look wrong when used on JPEG/TIFF/PSD files, even though they work on raw files? How are presets affected by the process version? Or, why aren’t my presets working properly? Is there a way to add a keyboard shortcut to a preset? Can I fade the effect of a preset? Why would I change the default settings instead of using a preset? How do I set defaults that will work correctly for PV2010 and PV2012? Why would I want different defaults for each ISO and serial number combination? Which settings should I use as the defaults? How can I quickly identify virtual copies? When would I use a snapshot instead of a virtual copy? Can I rename virtual copies? Can I convert virtual copies into snapshots and vice versa? Can I swap virtual copies for masters and vice versa? What do Sync Copies and Sync Snapshots do? How do I reset a single slider or panel section to its default setting? How do I reset photos back to their default settings? If I don’t like the last adjustment I made, can I just undo that step, rather than resetting everything? How long do the adjustments stay in the History panel? Why are my pictures softer and noisier than in other programs? What is multiple pass sharpening? How do I use the different Noise Reduction sliders? Can I apply or remove sharpening or noise reduction selectively? Why is the lens profile not selected automatically? How do I set a default lens profile? In the Setup pop-up menu, what’s the difference between Default, Auto & Custom? How do the Amount sliders interact with the profile? Can I use the profiled lens corrections to correct the vignette without removing the distortion, or vice versa? Can I turn on the lens corrections by default? What are my options if my lens profile isn’t available? How do I create a Lens Profile using the Lens Profile Creator? Why can’t Lightroom find my custom profiles? How is the Scale slider different to cropping? Why doesn’t the Lens Correction Vignette adjust to the Crop boundaries? Can I save Manual lens corrections as defaults for lenses? What’s the difference between Highlight Priority, Color Priority and Paint Overlay? How do the Post-Crop Vignette sliders interact? How do the Grain sliders interact? Why does my grain not always look exactly the same in the exported file as in the Develop preview? How do I install and use the profiles? Which are the profiles for my camera? Why does my Nikon D300 have D2X profiles? Why does the profile pop-up menu just say ‘Embedded’? Why do I only have Matrix listed? The ACR version number in the Calibration section is an old version—how do I update it? Why is the DNG Profile Editor better than the Calibration sliders? Can I use the profiles on proprietary raw files, not just DNG? Why doesn’t it use ICC profiles? Where do I download the DNG Profile Editor? How do I use the DNG Profile Editor? It looks complicated! Is there a simpler way of creating a DNG Profile for my camera? Why does the crop go in the wrong direction when I try and move the grid around? How do I crop a vertical portion from a horizontal photo? How do I set a custom crop aspect ratio? How do I delete a custom crop aspect ratio? How do I fix my crop ratio so it doesn’t change when I resize it? Is it possible to change the Crop Overlay color? How do I straighten or rotate a photo? Can a crop be saved in a preset? Is there a way to see what the new pixel dimensions will be without interpolation? How do I adjust the opacity of an existing spot? How do I work the Red Eye Correction tool? Lightroom’s Red Eye Correction tool can’t lock on to the red eye—is there anything I can do to help it? What’s the difference between Flow & Density? How do I use a Wacom tablet with Lightroom’s adjustment brush? What does Auto Mask do? Why are there speckles in the brushed area? Why is nothing happening when I brush over the photo? Where have my mask pins gone? How do I reselect and edit an existing mask? How do I show the mask I’ve created? How do I fade the effect of an existing mask? Can I change the color of the mask overlay? Can I layer the effect of multiple masks? Can I synchronize my settings with other photos? How can I tell if I’m applying a color tint when using the Adjustment Brush? Can I select a color tint from the photo itself? If I apply sharpening using the Adjustment Brush, where do I adjust the Radius, Detail and Masking? How do I fix Moiré? Why does a negative Noise brush add more noise? And why would you want to add moiré? Can I change other External Editor settings, such as a custom subfolder and a different filename for each editor, or a different file format? When in my workflow should I use Edit in Photoshop or other External Editors? Can I open the raw file into another raw processor? Lightroom can’t find Photoshop to use Edit in Photoshop—how do I fix it? How do I open my layered file back into Photoshop without flattening it? How do I check which Lightroom and ACR versions I have installed? What’s the difference between Render Using Lightroom and Open Anyway in the ACR mismatch dialog? Can I open a raw file directly into the ACR dialog? If I use ACR to convert, having saved the settings to XMP, will the result be identical to Lightroom? I’d prefer to let Bridge run the conversion to JPEG using Image Processor to run an action. Is it possible? Why is Bridge not seeing the raw adjustments I’ve made in Lightroom? Can I set Lightroom to automatically export back to the same folder as the original? Can I set Lightroom to automatically re-import the exported files? Why is the ‘Add to Stack’ checkbox unavailable? Can I set Lightroom to overwrite the original when exporting? Can I stop Lightroom asking me what to do when it finds an existing file with the same name? How do I burn the exported files to CD or DVD? How do I change the filename while exporting? How do I export or save my edited videos? What’s the equivalent of JPEG quality…? How do I set Lightroom to a JPEG level 0-12 so that Photoshop doesn’t ask me every time I save? Why won’t Photoshop allow me to save my Lightroom file as a JPEG? Should I choose 8-bit or 16-bit? I am a high volume photographer (weddings, sports, etc. 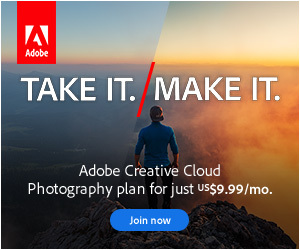 )—do I have to convert to PSD or TIFF for light retouching, or can I use JPEG? Which color space should I use? Why do my photos look different in Photoshop? Can I export with a custom ICC profile? What’s the difference between Width & Height, Dimensions, Longest Edge, Shortest Edge & Megapixels? When I enter 4×6 as my output size, why do the vertical photos become 4×6 but the horizontal photos become 2.5×4? What does the ‘Don’t Enlarge’ checkbox do? What PPI setting should I enter in the Export dialog? When I crop to 8×10 in Lightroom and then open in Photoshop, why is it not 8”x10”? Why does the Export Sharpening only have a few options? How can I control it? Which Export Sharpening setting applies more sharpening—screen, matte or glossy? Can I strip the metadata from my files, like Save for Web in Photoshop? What is ‘Simple Copyright Watermark’ in the watermark menu? How do I create a decorative text or graphical watermark? Are the watermarks intelligent for vertical and horizontal images? Which file formats can I use for the graphical watermark? Can I overwrite an existing watermark? Where can I use my watermarks? How do I change the watermark placement for each photo? Can I create more complex watermarks, such as text and a graphic? Can I run a Photoshop action from Lightroom? The droplet runs, but it doesn’t save—what have I done wrong? The droplet runs, but it keeps asking what JPEG compression to use—what have I done wrong? The droplet doesn’t run at all—why not? The droplet only works on some of the photos and then stops—what’s wrong? In my droplet I used a ‘Save for Web’ instead of a standard ‘Save As’—why won’t it overwrite the original file? How do I email my photos from Lightroom via my desktop email software? How do I set up my email account within Lightroom? What SMTP settings do I need for my email host? How do I email my photos from Lightroom directly? How do I select which email address to send from? How do I set the size of the photos I want to email? Can I save a custom Email preset including extra settings, such as a watermark or a different file format? Can I access my main email address book? How do I use Lightroom’s address book? Why doesn’t it have space for me to type an email message? Will a copy of my sent email appear in my normal email program? How do I install Lightroom plug-ins? Where should I store my plug-ins? Why can’t I remove this Lightroom plug-in? How do I use Lightroom plug-ins? Can I export directly to an FTP server? Can I save my Export settings as a preset? Do I have to use the Export dialog every time I export? Why can’t CS2 save as JPEG when I’ve used Local Adjustments on the photo? It gives an error message—‘Some export operations were not performed. The file could not be written.’ or ‘The file could not be found.’ What went wrong? The files appear in the export folder and then disappear again. Why is Lightroom deleting them? Why are my adjustments not being applied to my exported file? How can I tell whether a photo has been exported? What can I use the Hard Drive option for? Can I choose the size of the photos to upload? How do I prevent it uploading a particular version of a photo? How do I control which keywords are visible on my published photos? Which settings should I use for Flickr’s Privacy & Safety? Can I have more than one account for each service connected to my catalog? Can I have the same account connected to multiple catalogs? How do I disconnect Lightroom from my account? Can I divide my photos into different collections? How do I add photos into a photoset that already exists on Flickr? How do I add photos into an album that already exists on Facebook? How do I publish my photos? Does it automatically publish changes I make to my photos? How do I update my service with the changes I’ve made to my photos? How do I mark photos as already published, so they don’t upload again? How do I remove photos from the service? How do I remove photos from my Lightroom catalog without removing them from the website? I didn’t mean to remove a photo from a collection—how do I restore it? I deleted a photo on the web interface—how do I upload it again? What happens if I rename a photo and then republish it? What are the limitations of the Free vs. Pro Flickr accounts? I’ve switched to a Flickr Pro account—how do I tell Lightroom? What does ‘Flickr API returned an error message (function upload, message Not a Pro Account)’ mean? I accidentally revoked the authorization on the Flickr or Facebook website—how do I fix it? Why is the Comments panel unavailable? How I do zoom in on book pages? What is Text Safe Area? Why are there numbers on the photos in the Filmstrip? How do I start a clean book? How do I select a book size and type? What’s the difference between Add Page and Add Blank Page? How many pages can I have in my book? How do I put multiple photos on a page, or create a double-page spread? What’s the difference between the grey cells and the white ones with grey lines? What’s the difference between the Clean, Creative, Portfolio, Travel & Wedding sets? How do I select a page without moving its contents? How do I rearrange the page order? How do I insert a page between existing pages? How do I delete pages? Why can’t I delete the last page? Can I duplicate a page? Or can I copy the layout from a previous page? Can I change the size of the photo or text cells? Can I link opposite cell padding sliders, to move multiple sliders in one go? How do I use Auto Layout? How do I create my own Auto Layout preset? What does ‘Match Long Edges’ do? How do I control which metadata is used for Photo Captions when using Auto Layout? Why does Auto Layout say I don’t have any favorites? Why isn’t Auto Layout doing anything? How do I add a photo to a page? How do I add all of the visible photos to my book in one go? How do I rearrange or swap the photos? If the photo doesn’t fill the cell, how do I adjust the position? If I’ve changed the zoom, how do I change it back to Fill automatically? Can I set it to automatically fit the photos to the cells, rather than filling the cell? How do I remove a photos? How can I tell which photos I’ve used so far? Do I have to fill all of the cells on the page? What does the exclamation mark on the photo mean? When I’ve finished designing the book, can I go back and apply further Develop changes? How do I change the background color of my pages? How do I add a photo as a page background? Why is the text field not updating when I change the related photo? I’ve changed the metadata—how do I update the text in the book to match? How do I change the default text? How do I remove text captions? Can Lightroom check my spelling? Can I zoom in closer to read the text? How do I remove the placeholder text? How do I see where the text cells are? What’s the red square marker with a cross in the middle? How do I change the text color? I’m adjusting Type sliders—why is nothing changing? How do I adjust the line height? What are Tracking, Baseline, Leading and Kerning? How do I use the Text Targeted Adjustment Tool? How do I adjust the horizontal and vertical alignment? How do I change the text style on multiple text cells? Can I save my text style to apply to other cells? Why doesn’t selecting the ‘Title-Sans Serif’ preset fill in the photo Title metadata? How do I add spine text? How do I change the spine or cover color? How do I wrap a photo around the cover, including across the spine? How do I save my book? What’s the difference between a saved book and an unsaved book? How do I edit my saved book? How do I create a snapshot of my book, in case I make changes and want to go back to a previous version? How do I save my book layout as a template for use on other photos? Why are other vendors not available for printing books? How do I save my book as a PDF? What’s the difference between a PDF and a Blurb PDF? How do I select quality, color profile, resolution and sharpening for a Blurb book? Can I view a soft proof of my Blurb book? How much will my Blurb book cost? What is the Logo Page? How do I send my book to Blurb? How do I add my Identity Plate to my slideshow? How do I adjust the anchor point? How do I add captions to the slides? How do I change the font on my text overlays? How do I remove the quotation marks when a caption is blank? How do I change the background? What does Zoom to Fill Frame do? Can I add Intro and Ending slides? Can I advance the slides manually, but still have them fade from one to the next? Can I rate photos while a slideshow is running? Which music formats can Lightroom play? How do I adjust the slide timings to fit the length of the music track? How do I work around the lack of individual slide durations? Why can’t Lightroom find my iTunes playlists? How do I play multiple different music tracks during my slideshow? How do I save my slideshow? How do I edit my saved slideshow? How do I save my slideshow settings as a template for use on other photos? How do I select which template will be used for an Impromptu Slideshow? Can I export my slideshow to run in a DVD player? Can I export my slideshow for viewing on the web? Can I export the slideshow with the music? Where has the Export to JPEG option gone? I exported to PDF, but it doesn’t automatically start the slideshow when I open the PDF. Why not? Which movie size option should I choose? Why does it stall part way through the slideshow or go much slower than the times I’d chosen? Everything appears to be running correctly, then the screen just goes plain grey or black when I try to run the slideshow. Why? How do I change the page size and paper orientation? How do I create a contact sheet? How do I select which photos to include in my contact sheet? How can I change the order of contact sheet photos? How do I use Picture Package? What does the exclamation mark in the top right corner mean? How do I create a Custom Package? What’s a pinned or anchored cell? How do I replace a photo in an existing cell? How do I see the cell size? How can I stop the photos being cropped by the cells? How do I rotate a photo within a cell? How do I move a photo within a cell? How do I scroll through custom package pages? How do I add the filename and watermark to my contact sheet? Is it possible to personalize my print by changing the background color? With 1 photo on a sheet, I can place the Identity Plate anywhere on the photo. Is that possible for multiple photos? How do I save my print? How do I edit my saved print? How do I save my print settings as a template for use on other photos? Which Print Sharpening option do I choose? When should I turn on 16-bit printing? What is ‘Draft Mode Printing’? How do I set up my printer to match the preview I see on screen? Why do Lightroom’s prints not match the preview on screen? How do I compensate for prints that are too light, too dark or too flat? How do I print to a file such as a JPEG to send to my lab? How do I get Lightroom to see my custom printer profile? Why does my custom ICC printer profile not show in Lightroom’s list of profiles? The default Flash gallery appears to be capped at 500 photos—how do I increase the number of photos it can hold? Is it possible to add music to the galleries? Where can I download additional web galleries? Are there any web galleries with download links or an integrated shopping cart such as PayPal? How do I install new web galleries? How do I save my web gallery? How do I edit my saved web gallery? How do I save my settings as a template for use on other photos? How do I upload my gallery? Why doesn’t the FTP upload work—it says ‘Remote Disc Error’? Why are my FTP settings not saved in the templates? Can I have multiple galleries on my website? Is it possible to embed a web gallery into an existing website or web page? How should I design my workflow? What is deleted when I delete my Preferences file? I installed Lightroom, but it says ‘An error occurred while attempting to change modules’. How do I fix it? Why can’t I open my catalog? How can I keep my catalogs healthy and prevent corruption? Lightroom says that my catalog is corrupted—can I fix it? Why do I just get grey boxes instead of previews? Everything in Lightroom is a funny color, but the original photos look perfect in other programs, and the exported photos don’t look like they do in Lightroom either. What could be wrong? How should I calibrate my monitor? My photos have imported incorrectly rotated and distorted—how do I fix it? It says ‘There was an error working with the photo’ or there’s an exclamation mark in the corner of the thumbnail and a small fuzzy preview. What’s wrong? How can I speed up moving files between folders? It’s taking forever to delete photos—should it really take this long? Should I buy the download or the boxed version? Do I have to install the 5.0 version from my DVD before installing updates? How do I install the 64-bit version? How can I check whether I’m running the 32-bit or 64-bit version? How do I upgrade Lightroom? Do I have to install Lightroom 1, 2, 3 or 4 if I purchased an upgrade version? Which catalog versions will upgrade to Lightroom 5? How do I upgrade my catalog from version 4 to version 5? If I upgrade, can I go back to Lightroom 4? Do I have to upgrade a catalog before I can import it into version 5 using Import from Catalog? What happens if I try to upgrade a catalog that I’ve already upgraded? Can I uninstall or delete my previous installations? How do I check which update I’m currently running? How do I find out whether my new camera is supported yet? How do I update Lightroom with the latest version of ACR? How do I update to a newer Lightroom dot release? How do I downgrade to an earlier Lightroom dot release in the case of problems? How do I switch language? Some of the shortcuts don’t work with my language version or non-English keyboard—can I fix it? I’m switching from PC to Mac—how do I switch my Lightroom license? How many machines can I install Lightroom on? How do I deactivate Lightroom to move it to another machine? How do I show hidden files to find my preferences and presets? I’ve got a great idea, or I’ve found a repeatable bug—how do I tell Adobe? Should you have one catalog or multiple catalogs? Oooops, how do I undo? What is a Lightroom catalog? How do I rearrange existing photos into a new dated folder structure? How do I reorganize my Folders panel?